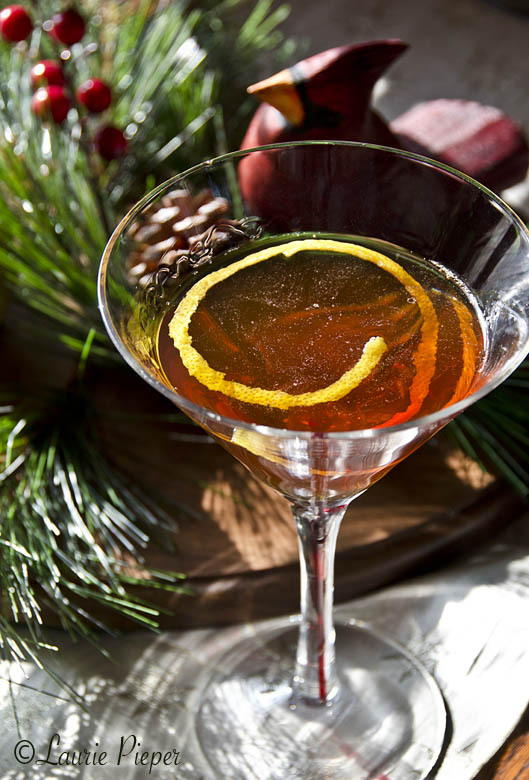 Inspired by classic bourbon cocktails such as the Old Fashioned, this cocktail has been spruced up for Christmas but still retains a pleasing balance between bitter, sweet, fruity and bourbon flavors. Cheers! Fill a cocktail shaker with ice. Add bourbon, liqueurs and bitters. Cover and shake well – to mix ingredients, to chill the drink and to allow a little of the ice to melt. Strain into a decorative martini glass. Garnish with lemon peel and serve.